After careful consideration, in order to provide the customers with consistent and clear information, Opalemio decided to take into account only these parameters (commonly accepted by opal experts) avoiding individual interpretations that have produced and still produce confusion. We are confident that this information will help you understand and appreciate the quality of our gemstones. Solid Type 1 - Homogeneous gemstone containing both precious opal and/or common opal (potch). Solid Type 2 - A layer of precious opal on host- rock which can have different chemical compositions. This type of opal is commonly called Boulder. Solid Type 3 - fractures and pores of the host-rock filled by precious opal. 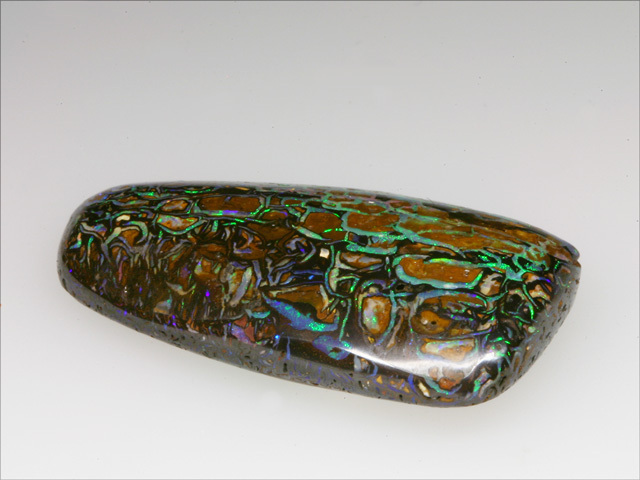 The rock displays specks and veins of opal which create beautiful designs (e.g. Yowah Nut Koroit). This type of opal is called Matrix. 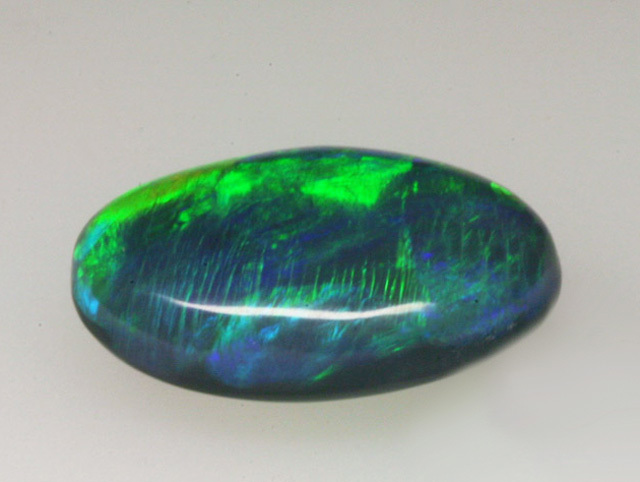 The body tone of an opal relates to the colour of the background of the opal. In other words, in order to identify the body tone of an opal the observer, rather than focusing on the colours or pattern, will concentrate on the background of the gem. The background of the gem can be white (N9), or black (N1 ) passing through the different shades of grey. From N1 to N4 - Black opal Category of opal which shows a play of colours on a background that goes from black (the most rare and precious (N1) to dark gray (N4). From N5 to N6 - Dark opal Kind of opal which shows a play of colours on a dark or gray background. Sometimes this category is also called semi-black. From N7 to N8 Light opal - N9 White opal Category of opal which shows a play of colors on a light background that changes from pale gray to milky white (N9). The latter is also known as white opal (white opal). Precious opal can occur in all forms of the diaphanous going from semi-transparent (translucent) to opaque. 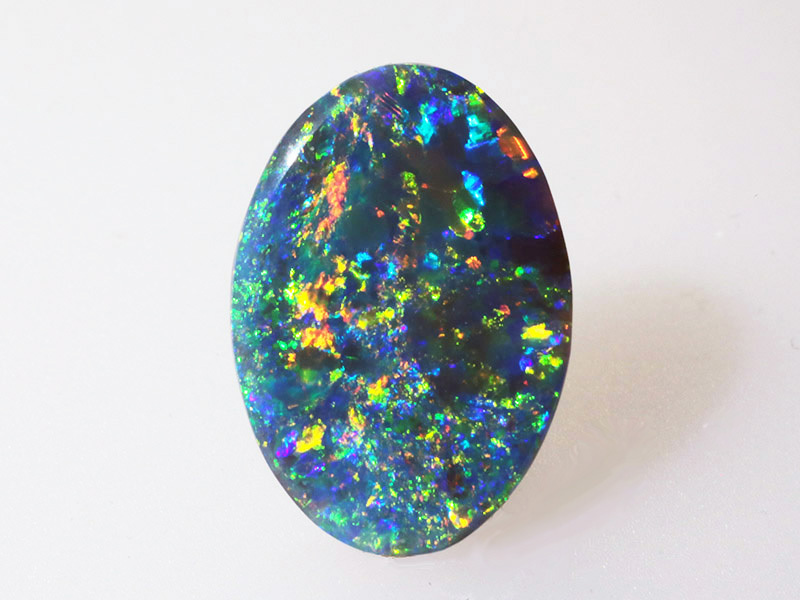 The range of tones is only available for opaque opals, while crystal opals, which are transparent or translucent,are influenced by the background surface on which they are placed. The brightness and the vividness of the colours of an opal is a key factor that helps determine the value of an opal. A bright opal, even if small, has a disproportionately greater value than a very large but pale opal. In recent years, there has been some confusion in accepting the common measurement scale. Opalemio believes in the importance of giving the customers a guideline in the purchase of opals although the indications contained in the guideline are not completely exhaustive. However this is the scale that has been used and currently used to distinguish the brightness of the gemstone. This scale consists of five levels. Level 1 - Weak - The opal shows a weak play of colour only under sunlight. Level 2 - Lightish - The opal shows a play of colours under sunlight and artificial lamps. Level 3 - Light - The opal shows a beautiful play of colours under sunlight and artificial light. It shows no colour if overshadowed away from light. Level 4 - Bright - Opal shows a beautiful play of colors under a weak artificial light and under sunlight. 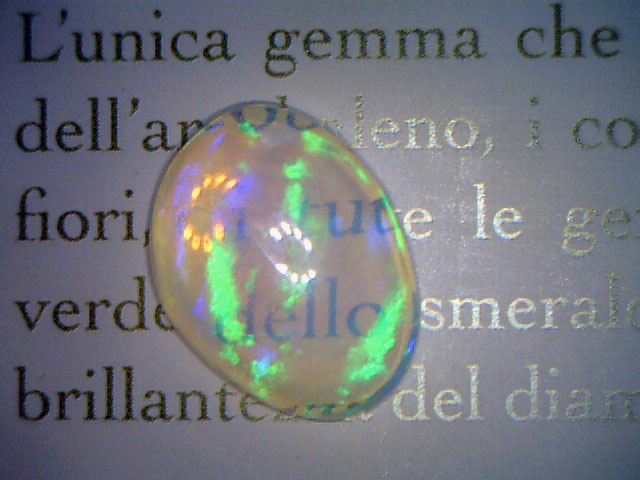 Colours can be seen even if the opal is overshadowed. Level 5 - Very bright - Opal has an intense play of colours under artificial light and under sunlight. The opal often it seems even brighter when in dim light. Which one of these levels of brightness my opal belongs to? Take out your opal around noon on a clear day with a nice blue sky, and expose the opal to the North, where it is not hit by direct sunlight. At this point you can determine the brightness of your gemstone. Simple enough?